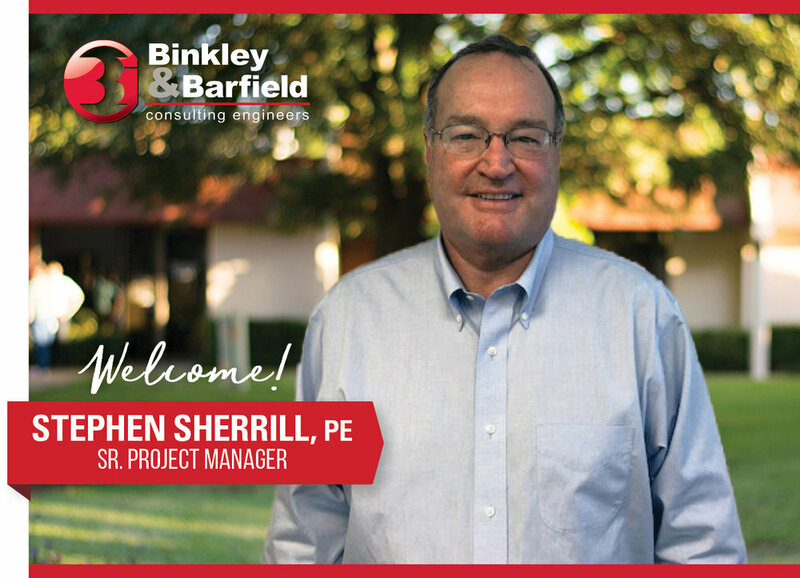 Welcome: Stephen Sherrill, PE — Binkley & Barfield, Inc.
Binkley & Barfield, Inc. (BBI) is pleased to announce the addition of Stephen “Steve” Sherrill, PE as Senior Project Manager for our Round Rock office. Steve will provide project management and business development efforts for clients in land development. He brings over 35 years of experience in civil engineering, land development, project management, utility districts, and private development of master-planned communities. Some of his major projects include the development of West Park Oaks, Lake Pointe, and the highly acclaimed Belterra in Dripping Springs. We look forward to Steve building collaborative relationships across the Binkley & Barfield Family of Companies, as well as with industry peers and our clients.